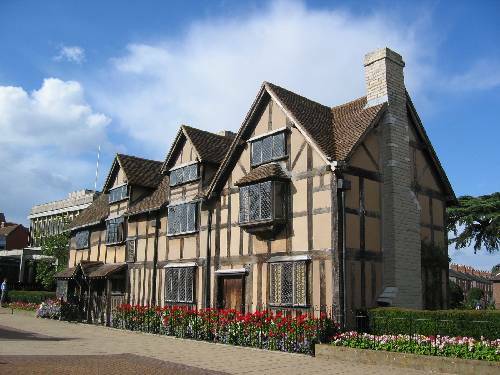 Blog from Coventry, UK | Where in the USAre they? We awoke this morning to 'It snowed last night' and Brianna and I were up, coat and winter woolies on (we were both still in our pyjama's), out in the street, having a snow ball fight - we were the only crazy people in the street out there, even though there wasn't much snow... We only lasted about 10 minutes before it was a bit too chilly and came back inside. Then, an early morning meeting at the train station with Ryan and Eily, and Brianna, Emma, Pearce and I all headed for Cadbury World in Bournville. I LOVE this place - there is always something new and exciting =) They now have the Cadbury gorilla from the advert playing the drums - so cool to see in real life! And, with Brianna on her first visit, so many of us from Australia and Eily all in purple, we ended up with extra free chocolate...YUM, YUM, YUM! We then headed into Birmingham for lunch and to wander through the German Christmas Markets. Lunch was at Nando's and then it was soooooo busy at the markets, there was no wandering - it was more 'go with the flow' and if we can get out, we'll look at something. We all went on the carousel (Eily and I were riding side by side on William and Kate - that's what the horses were called!) and had chocolate fruit sticks. We then headed back to Coventry and all the family were round for some dinner - it was great to catch up with everyone.